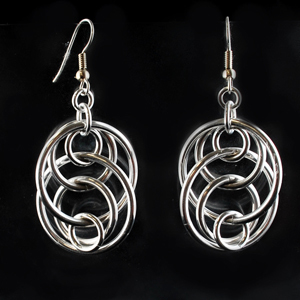 Using only small metal jump rings and pliers, you can create beautiful jewelry. It’s no secret we geek out on “whoa-how-did-you-make-that” super-intricate chainmaille projects here at Blue Buddha, but sometimes you just want to have a little fun and create something quickly you can wear out that night. 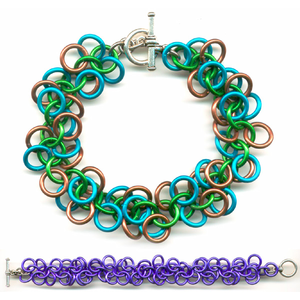 Bisected Byzantine is a perfect introduction to chainmaille and working with rubber rings. Try creating this project in your favorite sports team’s colors or holiday colors! 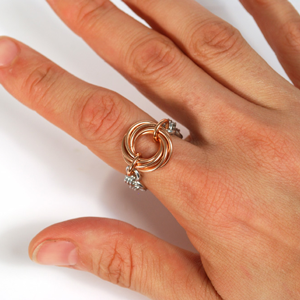 This rubbermaille finger ring is a great project for folks who like large rings. The band uses silicone rubber rings so it is easy to fit and easily slides on and off … and its flexibility makes it super comfortable to wear. 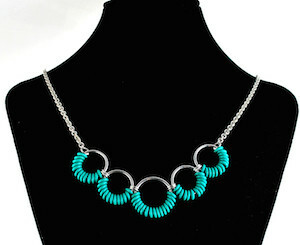 This necklace comes together quickly because all the rubber-o-rings are permanently closed, so you don’t have to pre-close them yourself. Make several different necklaces to match different outfits! Learn this simple and eye-catching jewelry pattern that features several sizes of jump rings delicately balanced to hang inside each other. This is a fast and great DIY chainmaille project for beginners to learn basic techniques. Link seven jump rings together in a vortex—nd then add a simple band of smaller jump rings—to create an elegant and comfortable finger ring. These earrings are our most popular project when we set up our Make ‘n’ Take booth at local events. Why? 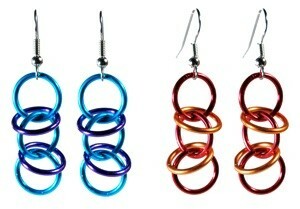 They are eye-catching, colorful and best of all, even beginners can make these earrings in less than 20 minutes. Shaggy Loops is a great weave if you’re new to chainmaille. 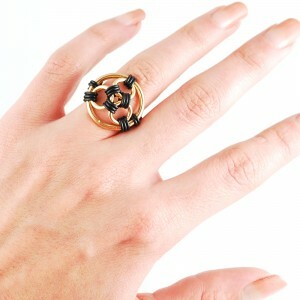 Fun and flexible, this weave works in almost any ring size. Once you’ve learned this weave, you can use it to create necklaces, earrings and bracelets. BONUS: Free video tutorial available for Shaggy Loops. 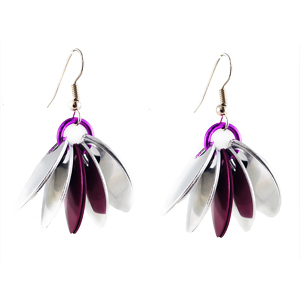 In just 3 simple steps, create lightweight, sculptural earrings unlike anything you’ll find in a store. 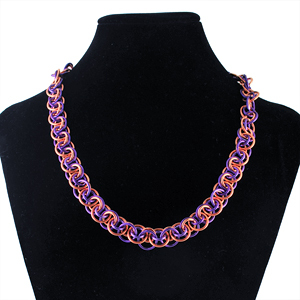 This is a great project for people brand new to chainmaille and/or new to working with metal scales. This impressive-looking beginning level chainmaille project helps crafters learn how to link jump rings together to create a gorgeous metal necklace. 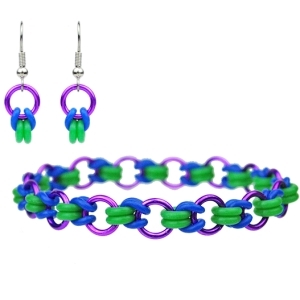 The result is colorful, easy to wear and highly soothing to make once you get into the groove. Once you make your first project, be sure to post it to the Blue Buddha Boutique page on Facebook or upload it to Instagram with the hashtag #mailledit!